DUE TO THE EXTREME VOLUME OF PINS ORDERED BETWEEN THE DATES OF (MAY 1 AND JULY, 31) THERE WILL BE NO DELIVERY GUARANTEES IMPLIED OR OFFERED BETWEEN THIS TIME PERIOD. Welcome to Baseball-TradingPins.com, the reliable source for ALL of your Softball Trading Pins needs. We pride ourselves on Exemplary customer service, Outstanding artwork, On-Time Delivery and of course Industry Low Pricing! Fastpitch Softball Trading Pins are the best way to showcase the originality of your team and many tournaments require teams to bring Team Pins with them and trade them with all of the other teams that compete. 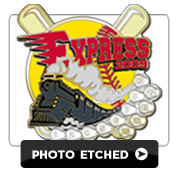 We specialize in Custom Trading Pins for many sports and organizations, including Baseball Pins, Softball Pins, Little League Pins, Fastpitch Softball Trading Pins, Sports Pins, Hockey Pins, Soccer Pins, Basketball Pins, and the ever popular Destination Imagination® Pins. Our factory is an approved manufacturer of Disney® Baseball Trading Pins. This is a difficult approval process as Disney® requires very strict standards of quality of manufacture. You’ll receive, LIVE customer support, FREE artwork and design, no setup or mold fees, and you’ll receive your Custom Baseball Trading Pins within 14 Business days. AND we also offer RUSH services that can deliver your Softball trading pins in as little as 3 Days! Give your team, and your team's competition something to remember, a keepsake forever, and a very cool one too! 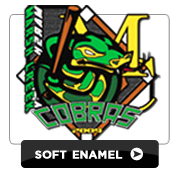 Our staff of highly trained professional associates are waiting now to help you with your Little League Trading Pins, Softball Pins, Fastpitch Softball Trading Pins, Sports Pins design and order, so why wait any longer? Call NOW and lets get started on your next trading pin order! Call Toll Free - 877-503-0256 or Click Here to get started. 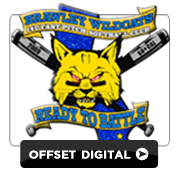 ©2010 - 2019 Baseball-Tradingpins.com, All rights reserved.